v Protects the kidney from chemical damage. v Suitable for people suffering from or exposed to chemical. v Cardio vascular disease (heart disease), Menopause, Menstrual pain and Virginal inflammation. v Makes you look younger, promote skin & hair. v Essential for normal growth & development in the body. v It’s a component of cell membranes. v It contains an important fatty acid. v Can reduce oxidant damage, damage caused by oxygen which can harm human tissue, cells & organs. v It has antioxidant properties that are due to their capability to bind with reactive oxygen species. v It contains natural tocopherol which helps support your brain, cardiovascular & respiratory system. 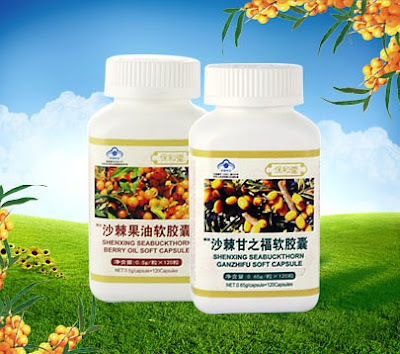 v It has many biological functions and Fat soluble antioxidant. v Protection against toxins such as air pollution, premenstrual syndrome, eye disorder such as cataract, neurological diseases such as Alzheimer disease and diabetics. v It helps healing process. v Reduce cholesterol & the risk of developing cancer. v Prevent blood platelet from clumbing. v Promote blood circulation to scalp. v Makes heart stay healthy & help limit bad heart condition. v It should be taken by anyone with low fat diet. v Contains vitamin E 240mg & linoleic acid 10gram. v It boosts immunity, protects liver from chemical damage and suitable for the eye. v It contains powerful antioxidant that can help prevent some form of cancer, heart disease & it helps to enhance your body immune response to infection. v It helps the body reduce the inflammatory action & singlet or free radical oxygen atoms like to combine into pairs. Singlet oxygen atoms are unstable &interact withlipids found in cell walls causing inflammation & damage. v It’s a valuable preventive medicine. 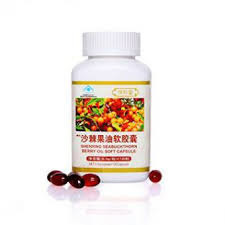 v In addition to their role in cancer prevention, the berry oil offer us protection from heart disease, again it’s antioxidant behavior protect lining of the arteries & the fat in the blood from free radicals oxidative damage. v They improve the communication between cells, too which can result in fewer cell mutations, white blood cells attach bacteria, viruses, cancer cells and yeast. v It’s among the top 5 anti-aging vitamins. v Carotenoid as it ingredient contains vitamin A & protein. v It contains 10 amino acids necessary for human health. v It’s also suitable for people with hypotension.